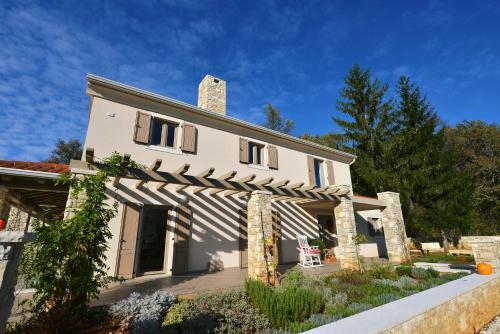 Positioned in Labin in the Istria Region, this detached vacation home is 33 km from Opatija. Gratis wireless internet is provided throughout the property and free car parking is available on site. The unit fitted with a kitchen with a dishwashing machine and oven. A lcd tv and DVD player, as well as a CD player are offered. There is a private toilet with a bath or shower and bidet. Free use of mountain bikes, bike rent and car hire are available at the property and the area is famous for biking. 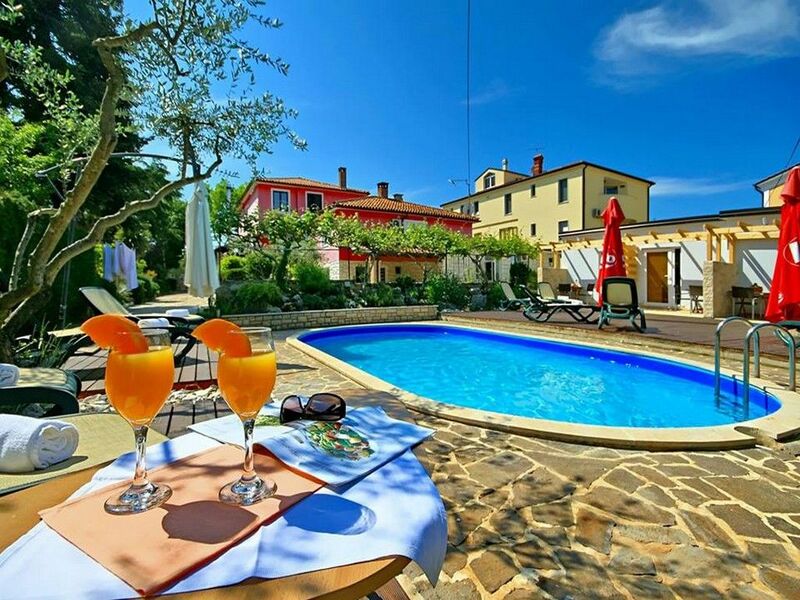 Villa Danica ~0,2 km, Labin price per day from € 130 Set in the real heart of the eye-catching Istria surroundings, this high-class, 5-star property presents a swimming pool, a back yard, a games room, gym equipment and a sauna. Vacation home Danica is just a 15-minute drive from Labin city centre. There is a balcony and outdoors terrace from which visitors can enjoy pool and garden views. Prepare dishes in the well-equipped kitchen, which features a coffee machine and dishwashing machine, or have a barbeque in the garden. 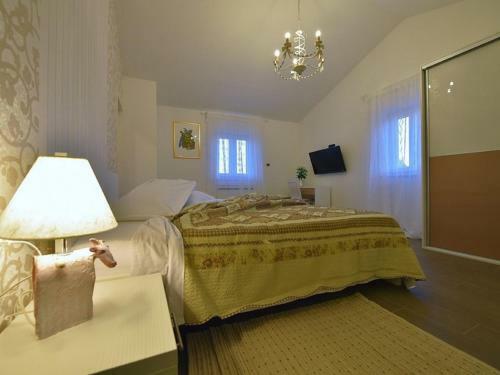 Villa Home Ana ~3,8 km, Nedescina price per day from € 180 Vacation home Home Ana is a villa featuring a back yard with a grill, situated in Nedeščina. There is a seating area and a kitchen complete with a dishwashing machine, an oven and a toaster. Other amenities at Villa Home Ana include an outdoors terrace. A beach can be found within 13 km from the property. 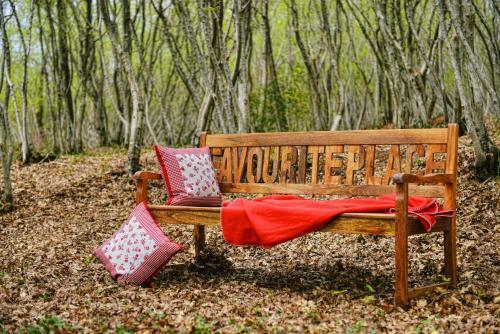 Opatija is 30 km from Villa Home Ana, while Rovinj is 34 kilometers away. Pula Flight terminal is 29 km away. 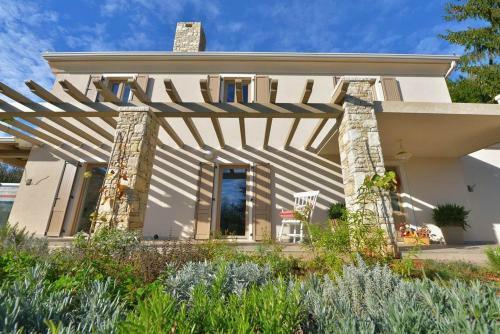 Villa Martin ~0.1 km, Labin Positioned in Labin in the Istria Region, this detached vacation home is 33 km from Opatija. Gratis wireless internet is provided throughout the property and free car parking is available on site. The unit fitted with a kitchen with a dishwashing machine and oven. A lcd tv and DVD player, as well as a CD player are offered. There is a private toilet with a bath or shower and bidet. Free use of mountain bikes, bike rent and car hire are available at the property and the area is famous for biking. Rasa ( ~ 3.2 km ): 29+ apartments, 66+ villas. Barban ( ~ 5.4 km ): 38+ villas/holiday houses. Nedescina ( ~ 6 km ): 35+ villas/holiday houses. Vicani ( ~ 7.9 km ): 37+ accommodation units. Rabac ( ~ 8.5 km ): 442+ apartments. Trget ( ~ 9 km ): 29+ accommodation units. Beach Girandella, Rabac ~ 8,1 km from Villa Martin Gravel beach: ideal for families, recommended for young people, awarded with blue flag, with restaurant, with caffe bar, equipped with showers. Excellent choice of watersports. Beach Maslinica, Rabac ~ 8,1 km from Villa Martin Gravel beach: ideal for families, recommended for young people, awarded with blue flag, with restaurant, with caffe bar, equipped with showers. Excellent choice of watersports. Beach Andrea ~ 9,6 km from Villa Martin Sandy beach: ideal for families, recommended for young people, awarded with blue flag, with restaurant, with caffe bar, equipped with showers. Excellent choice of watersports. Beach Moscenicka Draga ~ 21,5 km from Villa Martin Gravel beach: ideal for families, recommended for young people, with restaurant, with caffe bar, equipped with showers. Excellent choice of watersports.